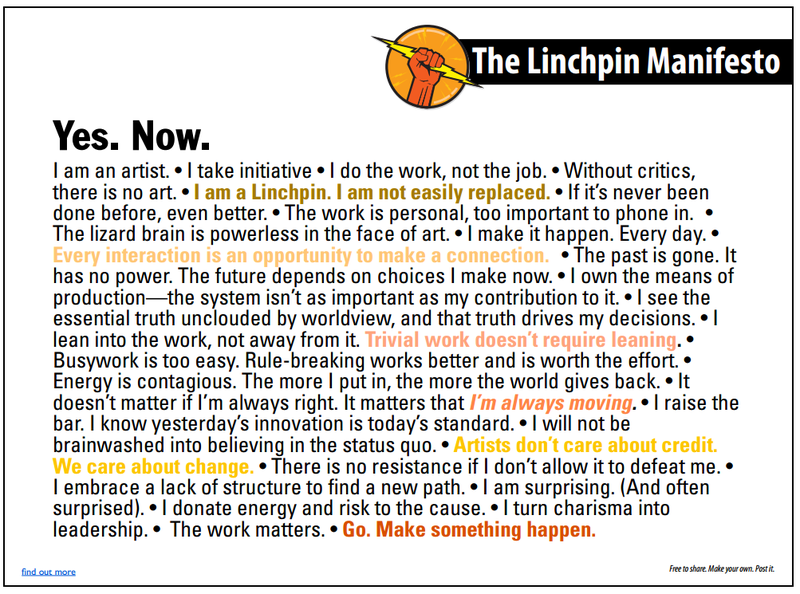 I read Linchpin by Seth Godin in the short time between college and my first full-time job (January 2011). It has stuck with me and molded my mindset about my career more than any other book. The world of work has changed. We don’t show up at the factory and do our labor and come home with a paycheck anymore. This system and mindset that has been created around this act has been turned upside down. There is no roadmap/directions/path for you to take. You must chart your own path. A myth exists in our school system – everything is designed to prep you for work in the local factory. The linchpin connects, invents, creates, and makes things happen without being told, shown, asked, etc. Every functioning institution has a linchpin(s) who make 10x more value than others. Being a linchpin involves doing uncomfortable work. You must engage in the activities that your lazy (lizard) brain is telling you are too hard. They require maturity, soul, strength, and the ability to do the right thing even when it’s inconvenient. Bravery. Emotional labor is the task of doing important work, even when it isn’t easy. Emotional labor is difficult and easy to avoid. But when we avoid it, we don’t do much worth seeking out. Through great art, linchpins inspire and lead others. Hence, it becomes truly impossible to compensate them fairly. This makes them more than a mere cog. It makes them the central part of the machine that without them, the whole structure would collapse. Thus, they become irreplaceable. Write down the due date, post it on the wall. It will ship on this date. Write down every single notion, plan, idea, sketch , and contact. Invite as many people as you can, this is their big chance. Thrash and dream. Don’t let the lizard brain cause you to sleep and procrastinate. Get out of the list every now and then and read them aloud. This will lead to more lists. Put the notes into a database, add words, images, sketches, and links. Rearrange, draw, sketch. 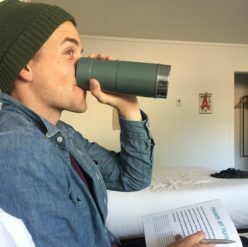 Go through the notes and build a description of the project. i.e. a forty page outline for a book. It’s the blueprint. Linchpins are leaders and connectors. They are required to have openness, conscientiousness, extraversion, agreeableness, and emotional stability. Unique talent. Are you the same as anyone else at what you do? Are they better?